Are you into interracial dating? Did you know that there are a lot of interracial dating sites today and one of them is Interracial People Meet? Get to know this online dating site by reading this Interracial People Meet review. With the many interracial dating sites today, it can be challenging to choose one. This is the reason why people tend to read reviews first before signing up, so they are assured that they have chosen the right dating site. Well, this is why this Interracial People Meet review is here to help you out. Interracial People Meet for people who are interested in date other races. The site will let you sign up and create your profile before they allow you to meet people. What’s good about Interracial People Meet is that they have a free basic membership. This is ideal for people who are first time users of online dating sites, so they can check first if online dating is for them. 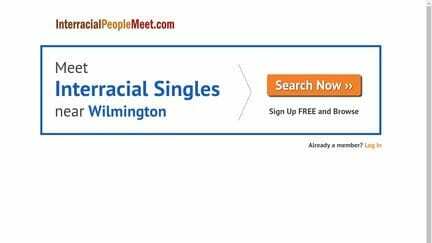 Now once you think Interracial People Meet is for you, all you have to do is sign up and complete your profile. You also need to upload your photo so that other members can see you. Some of the people at Interracial People Meet are looking for friends, casual encounters, long-term relationships and even marriage. Interracial People Meet’s interface is quite primary, which is a good thing as this means that this is a user-friendly website. The interface is uncluttered and looking for that feature that you need is easy. Every key feature is displayed clearly, which will make it easier for you to navigate. Of course, there are ads on the site, which can be annoying at times, but if you are chatting with that someone, then you might not be able to notice the ads anymore. As I’ve said, free members will only get to enjoy limited features. They can, of course, use the search features and use its parameters. You can search by ethnicity, status, location, age, and even profiles without or with photos. But sending messages to other members is not possible. Paid members, on the other hand, can send messages and view members that liked their images and the ones who favorited them. You can also check who flirted with you, which is a good thing so you can flirt with them back if you’re interested in them. With all these being said, it’s pretty safe to say that it’s okay to join Interracial People Meet. You can avail of the free membership so you can try the site out first. But remember that you won’t be able to send messages to members under this membership. It can be frustrating since there are online dating sites for free to lets a user send a limited number of messages. So if you are willing to try the site out, then you may do so and hope that you’ll get to meet that someone that you’ve been looking for.